Castle Mountain Coalition is ready for whatever 2013 may bring. Over the past year, we have seen some major victories and have grown significantly. We would like to take a moment to reflect on how far we’ve come, and give you an idea of what is in store for the coming year. CMC played a big role as a partner with the Mat Valley Coalition. 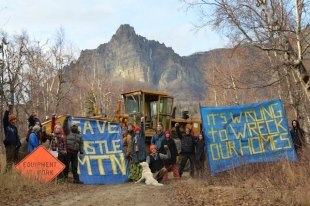 We hosted several community events including a couple sign painting parties, mine site hikes, a 3-day direct action camp, and the 1st Annual Castle Mountain Harvest Festival! 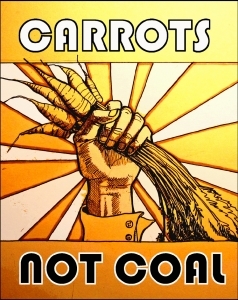 As a whole, the movement to keep coal in the ground in the Mat-Su was a huge success in 2012. 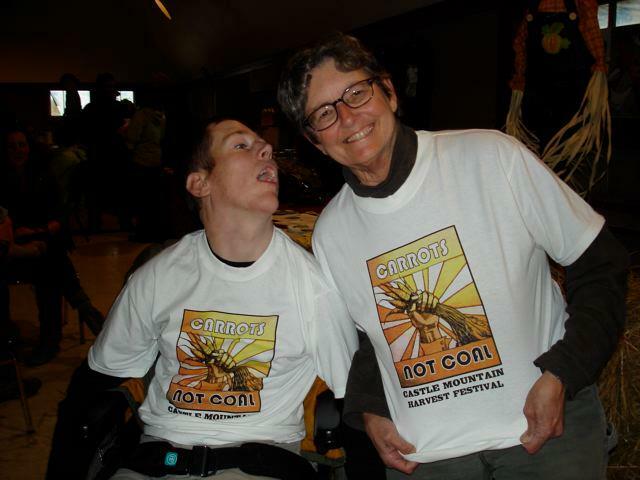 As a partner of the Mat Valley Coalition, CMC helped turn out hundreds of people and comments for the various hearings and permits, made contact with thousands of new supporters, and most importantly we were able to distract and dissuade Usibelli from any further coal mine development at Wishbone Hill. As it stands right now, Usibelli has no immediate plans to begin coal mining operations! Additionally, the federal agency Office of Surface Mining is on our side against the Department of Natural Resources in our complaint that they improperly renewed Usibelli’s permits. What a big win! CMC would like to thank all of YOU for making all our victories of 2012 possible. Without your determination, enthusiasm, and unyielding support to stop coal, none of this progress would have been possible. There are now over 5000 people supporting the Mat Valley Coalition and Mat Valley watershed residents make up a large portion of those. 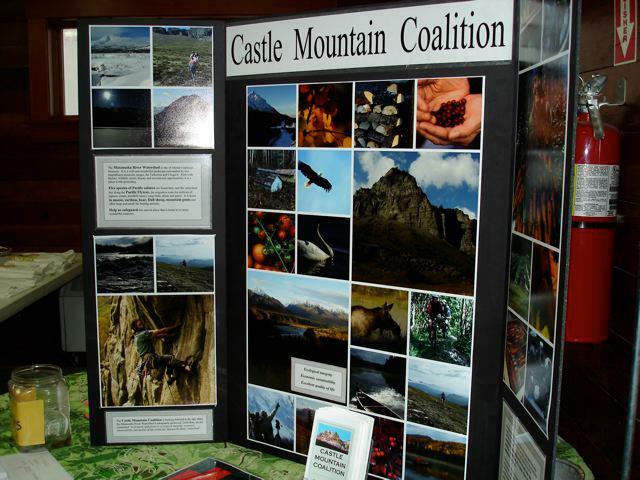 Castle Mountain Coalition is very proud to announce that we have contracted with a local organizer to accomplish some major goals in the coming year. Many of you will recognize Jamey Duhamel as the former coordinator for the Mat Valley Coalition, as well as a recent candidate for State House in the coal mine district. Jamey has agreed to lead CMC for 2013 as we take on some large projects that will further our shared goals of keeping coal in the ground in the Matanuska Valley watershed. Jamey is a Sutton resident and mother of 4 boys. While she has spent the last 18 years of her professional life as a social worker, Jamey’s people skills and ability to motivate and organize her neighbors and community members makes her an exciting addition to the Castle Mountain family. 1. 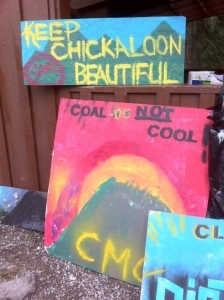 Create a Coal Mine Neighborhood Watch. We will be recruiting and training local residents to watch, document, and blog about mine site activities at Wishbone Hill, Jonesville, and Chickaloon. This strategy has already proven successful recently when a local resident from Chickaloon took pictures of Riversdale exploration operations and filed a complaint with the Department of Environmental Conservation. DEC inspected the site and issued water quality violations! 2. Create as many events, gatherings, parties, and shindigs as possible to keep the coal fight alive and progressing. With each of you by our side, we will continue to make coal mining socially unacceptable in our neighborhoods as well as strengthening our community and our friendships. 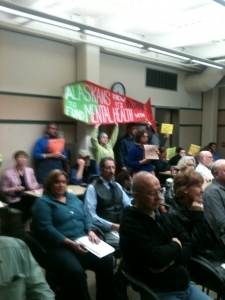 Coal cannot win when an entire community sticks together. its efforts in the watershed communities and has many exciting plans to be a collaborative neighbor and strong voice against outside interests. If you are interested in learning more or joining our cause, please contact Jamey to be notified of upcoming board meetings and our quarterly newsletter. 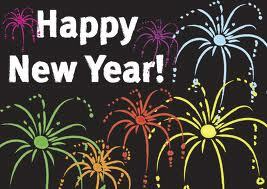 So, are you ready for 2013? We are! Join us as we face the coming year with excitement and hope in continuing to keep our communities coal-free!